Run walk interval training technique was first introduced to me by my friend Wendy Phaff while we were running a 5k in about 100 degrees with no shade. 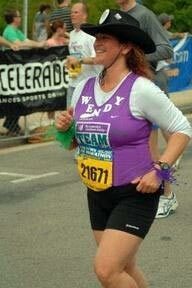 Wendy has run two full marathons and many half marathons and shorter races. Through her running, she had fundraised over $20,000 for the Leukemia and Lymphoma Society. Read on to see how she does it. I hope you will be as inspired reading this as I have been by her. What event are you training for next? I’m planning on signing up for the More marathon in Central Park in the spring and then another half marathon in the fall either Nike or Hamptons Half. Both are beautiful courses! I know you're real busy running, working, raising kids, going to school and your involved in charity, would you share your secret with us, Wendy. How do you get it all done? (Big sigh.) Getting it all done is relative. I have a list of priorities. The top three are the ones I focus on and the rest will eventually get done. Kids are always number one and while I am still in school full time, it is number two. There are many other activities that fight for the number three spot – work, volunteering and running. Depending on what is coming up on the calendar dictates which one wins. Right now I am juggling work and planning for an upcoming fundraising event and a seminar at school. I get up at 4:30 to do schoolwork and send off emails relating to the activities. I make all my phone calls in transit (hands free of course). There is always something that I just can’t get to or would like to have done more efficiently. I have had to learn NOT to beat myself up over everything and do the best I can. It is my nature to try to please everyone. I hate the idea of disappointing anyone. I have a 15 year-old son and a 13 year-old daughter. 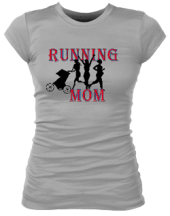 Anything you'd like to say about how having kids affects your running? I wouldn’t say they affect my running, but there are days that they come first and if it means not getting a run in, then i don’t. How about how your running affects your kids? I remember your son came to one of the races with us. Do you think your running has inspired him? Both the kids have run with me at different times but neither has caught the running bug. My son is fast and he is so sweet that he would stay with slow-poke mom for those NYRR races! I hope that as they get older they will understand that incorporating running into your life will add to the quality of life. It’s not about the races, it’s about feeling good. What made you want to get involved in running and fundraising? Team in Training got me involved in fundraising, and to do that I had to run! I loved the fundraising, didn’t love the running. I enjoy the camaraderie at group runs, meeting like-minded, good hearted people. 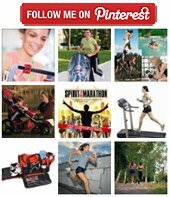 Eventually I warmed up to the health benefits of running: stress relief, cardio, etc... I still slack off when i am not signed up with TNT so I aim to do an event a year with them. The health benefits are an incentive but the fundraising really keeps me motivated. How long did it take you to complete your last half marathon? My last Half was the Hamptons Half. I finished in 2:34:41. Not a bad time. I trained well. Speed isn’t my thing. I have been injured over and over again and find that a slower pace is the only way I can remain injury free. When I push it, I get all sorts of issues that rear their little heads...I am happy to finish a half in that time range. I am a huge proponent of the run walk. When I started out I would walk every mile (simulating a water stop break). I had this perception of running as RUNNING, if I was going to be a runner, I would not walk. Not me! No way! As a result of my poor form and overuse, I ended up with severe stress fractures in both tibias. Ouch. After a couple of month’s rest, I came back to train for another event. My coach with TNT worked with me to teach me to listen to my body to find that perfect ratio of running and walking that would keep me going and feeling great! I experimented with different ratios but always kept the walk to no more than a minute. When I train now, I run 5 minutes and walk 1 full minute. When I am fully trained and feeling good my pace will go from 11:30-12:00 minutes, sometimes a little faster depending if I am running with my running buddies or alone. Any comments you would like to gives us about the run walk and how it has improved/helped your running in any way? There are those of us born to run and then there are some that are born to run walk! That’s me. Happy and stress fracture free! It’s healthier and it works! My energy stays constant throughout the races and the recovery time is much quicker. 13.1 is just a great memory a day later, not a painful one! A full marathon is more taxing and I have yet to run a full without an injury- I’ll let you know when I do! To read more about Wendy and why she is such an inspiration, check out this article.